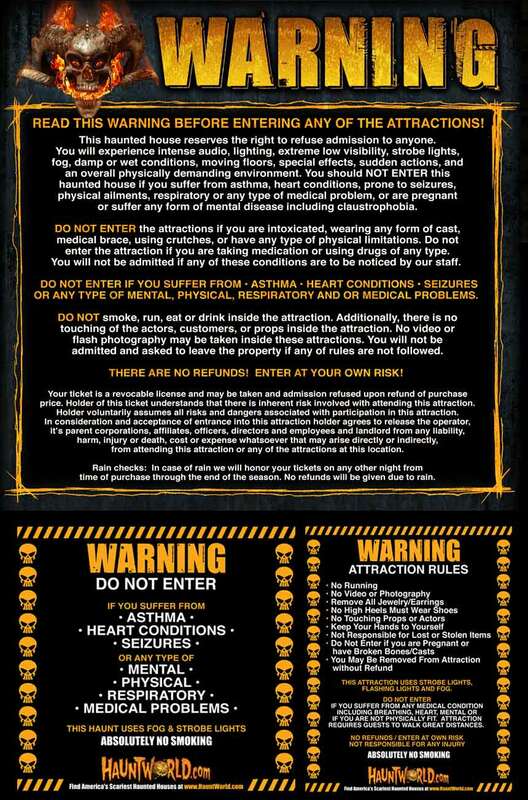 Things You Should Know Before Coming ?Full sensory assault. ?You must be physically fit enough to withstand some stair climbing. ?You must be able to fit in a tunnel slide and be willing to disappear into the darkness of the ride. ?If you have a fear of tight spaces, you will encounter quite a few. ?If you are wondering if your child is too young—yes, they are. ?You might be touched—our soldiers and creatures are trained to scare not harm. ?Could I get hurt—yes. Don’t run or hit even though these are natural reactions they are also what causes injuries. We are not responsible for any injuries. - May not be suitable for immature audiences or for mature audiences. The Haunted Hoorah will scare the crap out of you. 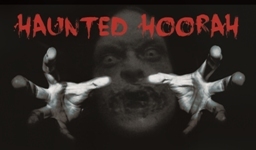 The Haunted Hoorah contains graphic, violent horrors, disturbing images, as well as many terrifying experiences that will have each and every person facing their greatest fears—and then some.